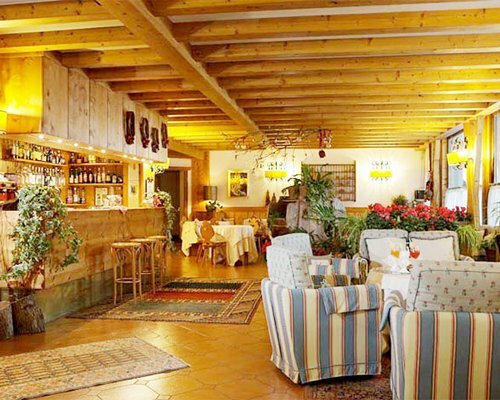 Hotel Cristallino, at 4,015 feet, is located in Cortina and set in a wide valley surrounded by majestic mountains such as Tofane, Faloria, and Monte Cristallino, which was once the setting for the Winter Olympic Games. 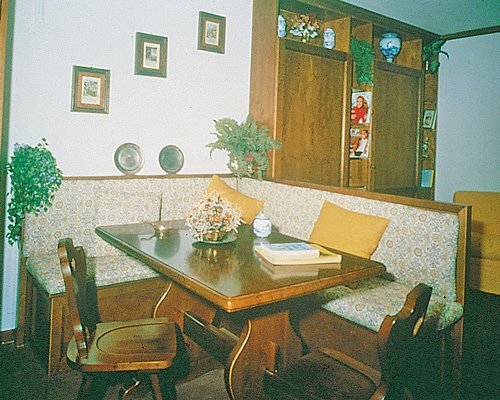 The apartments are hotel suites with daily maid service. Units are open space , only folding doors. The loft units have a mezzanine you reach with a stairs with no door. 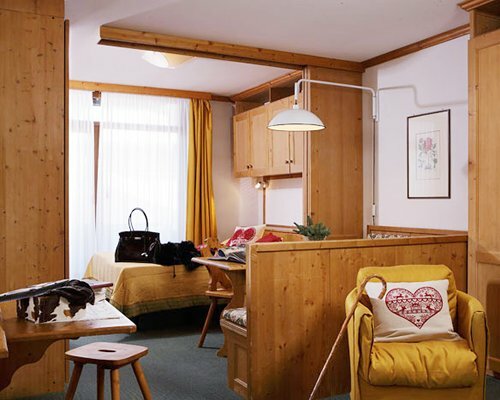 The lighting of the interior, spacious comfort, and the warm wooden decor, make the rooms a peaceful oasis in which one can relax after hiking, horseback riding, or an invigorating descent on skis. 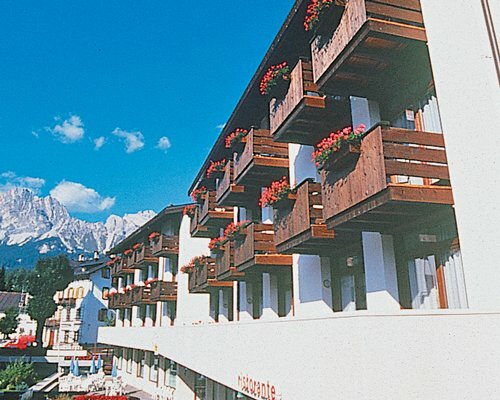 Cortina is particularly suitable for winter and summer sports, and s a renowned international center in the Alps. Apart from the skiing, the area offers ski-school, bob sleighs, cable cars walks, and excursions. BY AIR: nearest airport: Venice International 180 kms. BY CAR: From Venice airport take the A27. Exit at Belluno, from here follow road 51 towards Ponte Nelle Alpi and follow the signs to Cortina D'Ampezzo. The resort is just before the town centre on the right.